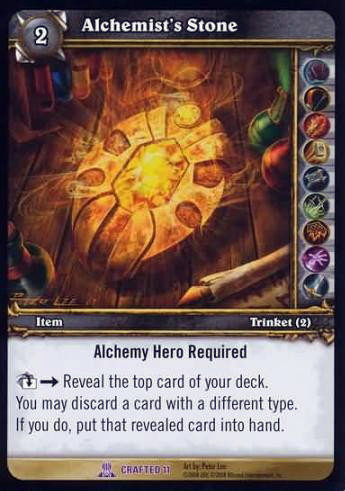 Rules: Alchemy Hero Required;[Exhaust] -> Reveal the top card of your deck. You may discard a card with a different type. If you do, put that revealed card into hand.